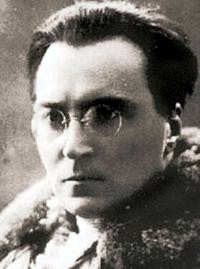 I’ve read quite a few of Victor Serge’s (Victor Lvovich Kibalchich’s) fictional and autobiographical works recently, and have come to the conclusion that he is a truly remarkable writer – indeed one of the most underrated writers of the twentieth century. My plan to write a longer post or two about his work has stalled somewhat, so as a taster, here are some other links. 1. A decent selection of Victor Serge’s writings can be found on the Marxist Internet Archive, and various essays by and about him are also available at Revolutionary History. 2. As one would expect, the consistently informative and interesting Poumista has a good round up of writings on Serge. 3. On the NYRB Classics blog A Different Stripe (NYRB doing sterling work as publishers of Serge in the last few years), Richard Greeman writes about Serge’s Political Testament. See also the recent post on Serge’s son Vlady Kibalchich’s paintings. 4. A thought-provoking analysis of Serge’s modernism in his brilliant Barcelona-set novel The Birth of Our Power, by The Anatomy Lesson. Also worth reading are a couple of recent reviews of Memoirs of a Revolutionary – by Nicholas Lezard in The Guardian, and John Gray in The New Statesman. My own thoughts on the Memoirs will appear here in due course.